Tube filling machine includes systems like tube cleaning, centralized lubrication, agitator etc. Tube Fillers are capable of handling different tube sizes and equipped with ‘No tube no fill’ feature. Medium speed tube fillers are available in speeds ranging from 35 to 150 tubes /min. Tube filling machines are multi purpose machines designed to fill viscous and semi viscous products in plastic soft tube, metallic tubes and laminated tubes. Bottom-up filling of tubes attached with shut-off nozzles ensures precise and clean filling without any air entrapment. 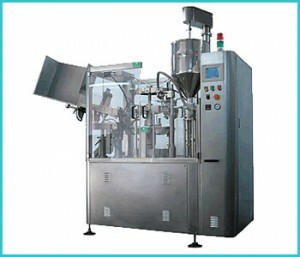 The output depends on the technical specifications of tube filling machines. Tool-less adjustments coupled with faster reproduction of settings aided by position indicators make changeover quite effortless.